I am unaware of any time period in recent history in which electric load growth has been so low. What caused “the perfect storm” that led to such low load growth? Of course, low demand growth leads to low growth for new generation resources. Regional exceptions include ERCOT in Texas, Southern California (with the closure of San Onofre), and North Dakota (where a baseload coal plant was cancelled and the oil boom enhanced demand in the western part of the state). The only need for new resources could be attributed to EPA impacts (causing power plant closures and retirements) but only if such plants are not replaced (which many are with new gas plants, wind, etc.). With a flat kWh sales denominator, any expenditure or program, however worthy, pushes up rate levels. In many Midwest states, impacts of power plant and transmission line construction have taken historically low-cost states like Wisconsin and Indiana to the middle of the pack. Indeed, one Wisconsin utility now has an average rate around 15 cents/kWh (compared to a state average residential rate of 12.5 cents/kWh over the period 2008-2012). The Badger State had enjoyed lowest-in-the-Midwest electric rate status for many years. Perhaps the rate increases will result in re-thinking whether there is need for new generation and transmission. With power surpluses in many parts of the country and anemic demand growth we have seen surprise closures or announcements of potential closures of both aging coal-generating plants and nuclear power plants — some of which just had their NRC licenses renewed. Perhaps the poster child for this unfortunate trend was the closing by Dominion in Wisconsin of the Kewaunee nuclear power plant. The owner had just received a license renewal from the NRC and employed 700 workers. Not only did the previous buyer of the power from this plant decline to renew their contract with the plant, they are potentially replacing it with a new gas-fired plant. So Wisconsin ratepayers — already suffering from higher than national average rate levels — are stuck paying to replace the embedded-cost nuclear power with a new plant and potentially volatile fuel prices. Other announced nuclear plant closures include the Entergy Vermont Yankee plant as well as potential closures in Illinois discussed recently by Exelon. Southern California Edison’s (SCE’s) San Onofre also closed this year for operational and safety reasons. You know times are changing when a state like Indiana, which just adopted daylight savings time a few years back, decides to debate retail electric choice. However, the continued low wholesale power prices have made retail access a success story in neighboring states while Indiana has lost its electric rate advantage. Legislation is anticipated in 2014, and it will be an idea debated in the state’s energy plan. We Energies in Michigan’s Upper Peninsula lost 85% of its retail load to marketer Integrys this year. Insiders predict legislation that will further increase retail choice is unlikely until 2015 in Michigan. 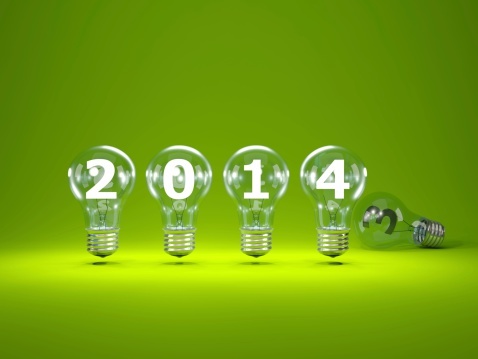 In any event, look for retail choice debates to spring up again in 2014. Next week we will examine a few more hot topics and/or key trends including the impacts of distributed generation (DG), net metering, and solar; RTO expansion; challenges of wind integration; cost recovery trackers and regulatory streamlining; and natural gas as a choice fuel. About the author: Bill Malcolm is an energy economist based in Indianapolis. He has worked for PG&E, MISO, and ANR Pipeline. He can be reached at billmalcolm@gmail.com. This entry was posted in Electricity, Natural Gas and tagged Electric Utilities, Electricity, Electricity Markets, Energy Education, Energy industry, Energy Trends, Natural gas education, Nuclear energy. Bookmark the permalink.